Actor #SushantSinghRajput will be seen doing a signature step of #ShahRukhKhan in a song titled "Sadda move" from the upcoming film #Raabta. He says he is a big fan of the superstar. "I have grown up on Shah Rukh's films and I'm a big fan. In fact, he is the only actor I went to a set to meet, but unfortunately couldn't," Sushant said in a statement. There is a special part of the song where Sushant spreads his arms and does the signature Shah Rukh step. The film's team shot this moment in the fields. They also put together Shah Rukh's look from the iconic film "Dilwale Dulhania Le Jayenge", a jacket and a hat. The 31-year-old actor says he likes it that he can pay a tribute to "Dilwale Dulhania Le Jayenge" in Dinesh Vijan's directorial. "When the team told me that we are including a SRK step I was immediately on board. I like, how we were able to include the 'Dilwale Dulhania Le Jayenge' homage in our other song," he added. Talking about SRK's signature move, Vijan said: "Everyone has that one particular dance move they love and this song is about showcasing your move. 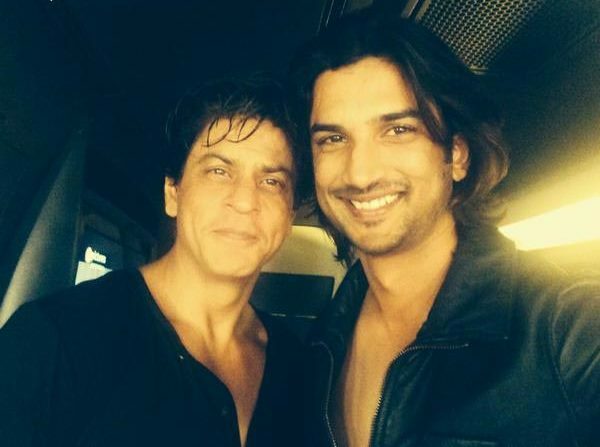 Sushant is a huge fan of SRK and he became an actor because of him. It was his idea to pay homage to the famous SRK pose." "Raabta", which also stars actress Kriti Sanon, is set to release on June 9.